With a focus on sustainable urbanism and social justice, Enrique Peñalosa used a wide variety of people-oriented policies that helped transform Bogotá. Photo by Colin Hughes/Flickr. This is the seventh entry in the Urbanism Hall of Fame series, exclusive to TheCityFix. This series is intended to inform people about the leading paradigms surrounding sustainable transport and urban planning and the thinkers behind them. By presenting their many stories, TheCityFix seeks to challenge our readers to think carefully about what defines leadership and innovation in sustainable transport and urban development. In 1997, Bogotá was one of the most unlikely places to stage an urban transformation. It had a long history of unmet government plans – some with the support of globally recognized architects like Le Corbusier; a frenzied, semi-formal public transport system known as the “war over the penny”; and its half-organized, half-chaotic urban development had led to great inequality and informality. Then, an economist turned urban planner – and follower of Jane Jacobs, Jan Gehl, and Francesco Tonucci – was elected mayor of the city: Enrique Peñalosa. In only three years, Peñalosa led a transformation that still makes Colombia’s capital globally recognized for innovation in urban mobility and social justice. Some highlights of his legacy include the TransMilenio – one of the world’s most heavily used bus rapid transit (BRT) systems; the city’s social housing program; a large scale recuperation of parks and public spaces; more than 350 km of protected bikeways; thousands of square feet of recovered and new sidewalks; formalization of more than 300 informal settlements while providing sewerage and local access roads; three large public libraries and cultural centers; and strong transport demand management (TDM) policies such as restricting car usage and removing street parking. Peñalosa has since become a popular speaker on urbanism, public transport, biking, and social justice. He has delivered his message in hundreds of places as well and web platforms, such as his TED talk on “Why Buses Represent Democracy in Action.” Bogotá’s transformation, and in particular it’s TransMilenio system, has been documented widely in sources ranging from The New York Times, to StreetFilms, to the Danish Film Institute. 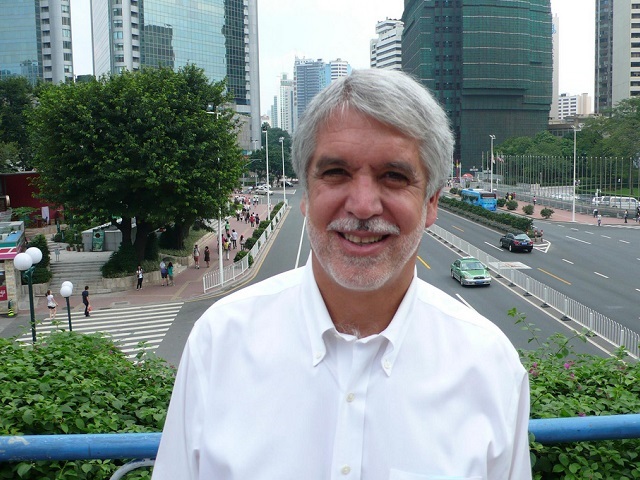 For his worldwide influence demonstrating the potential of sustainable urban transport and progressive development strategies in Bogotá, Enrique Peñalosa earns his place in TheCityFix’s Urbanism Hall of Fame. Before becoming mayor, Enrique Peñalosa was a university professor at Universidad Externado de Colombia and an awarded economics columnist at El Espectador. He also worked with the Bogotá Public Water Company and Department of Cundinamarca, the region in which Bogotá is located. In 1986, he became economics advisor for Colombian President Virgilio Barco, where he helped create the urbanization program of Ciudad Salitre, a large undeveloped parcel west of Bogotá’s center. Here he promoted parks and public spaces, bikeways and open roads, mixed uses and good density, to create good quality living. Pico y Placa restricted use of 40% of vehicles during peak hours according to their license plate numbers. This strategy had an immediate effect, reducing travel times and prompting car users to share vehicles or shift to other transport modes. After Bogotá, more than 20 cities in Colombia and the rest of Latin America have used this strategy to reduce congestion and improve air quality. Along with increasing the fuel tax and removing parking spaces, “Pico y Placa” clearly signaled an effort to rationalize car use by advantaging the majority of road users who used public transport over the city’s smaller group of car users. This project, which Peñalosa inherited from the previous administration, expanded lighting, trees and street furniture on sidewalks while eliminating parking. The project was very controversial with shop owners, who organized an unsuccessful impeachment. The project, however, revitalized a major shopping street, spurring the project’s expansion to sidewalks all over the city in the following years. Before Peñalosa became mayor, the city lacked public libraries and cultural centers. Peñalosa commissioned architect Rogelio Salmona to build the Biblioteca Barco building. Salmona created a masterpiece in the center of a new park. Two more libraries in low-income areas were opened under Peñalosa, helping expand cultural and public spaces. Historically, a shortage of low-income housing was addressed with subsidized loans rather than by building communities. 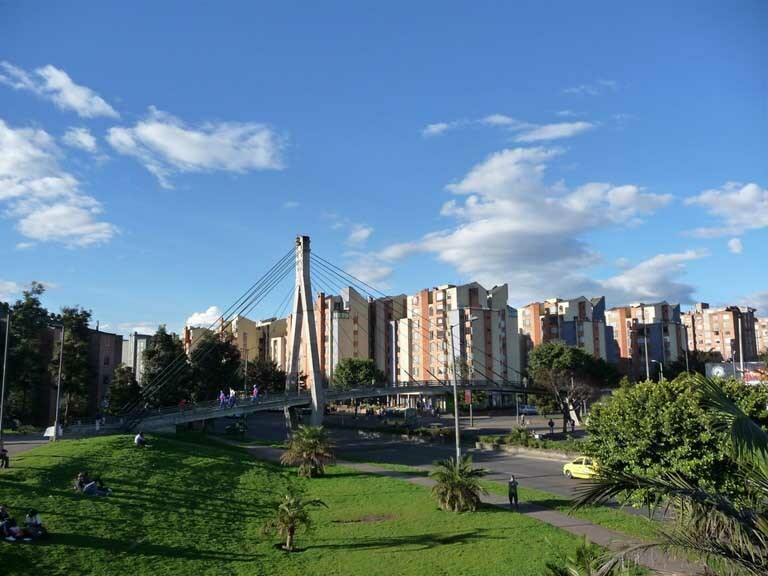 The Metrovivienda El Recreo project changed that custom by establishing quality urban infrastructure like roads, sidewalks, parks, and utilities before asking private developers to complete social housing under strict conditions. Requirements included minimum square footage, quality, and maximum prize. As one resident of Metrovivienda told me, “this is the best neighborhood in the city”; this author and Bogotá native feels he is right. Bogotá’s roads were traditionally built without sidewalks; Alameda El Porvenir, on the other hand, is a sidewalk-bikeway that does not allow motorized vehicles, making it one of the longest pedestrian and bike-only streets in the world. Located in a low-income area, the 17 km (10.5 mile) promenade provides accessibility and a recreational space for thousands of residents, connecting them to new schools, day care centers, parks and a library. Peñalosa’s mayorship, however, was not without controversy among a number of groups. These included residents of gated communities who did not want their illegal barriers removed; country club members who did not want part of their property turned into a public park; the school teacher’s union that opposed a scheme for high quality public chartered schools; taxi cab drivers that feared regulation; small bus owners and rail transit promoters scared of the change brought by the TransMilenio, and many other special interest groups. These groups struggled against Peñalosa when he tried twice to be re-elected. In spite of a high level of popularity upon ending his term, Peñalosa has not returned to office. Now Peñalosa is regarded as an excellent administrator but not a “good politician” – many politicians excel at getting elected and retaining power, but fall short at meeting their promises. His influence on urbanism, however, is undeniable. While no city is without its flaws, Bogotá is still considered a great example of what can be done with strong political leadership, capable staff oriented to implementation, and adequate levels of funding. Peñalosa put sustainable mobility and urban development policy into practice, and inspired hundreds of cities worldwide.